London’s cleaning industry is very well-developed, so it isn’t a surprise that there are so many cleaning contractors operating in the capital city. However, the wide range of choices makes it difficult for clients to choose the services of a reputable, affordable and qualitative cleaning company. If you are on the lookout for professional end of tenancy cleaning services that meet the requirements of the pickiest clients, and don’t cost a ton of money, then you’ve come to the right place. Our company is the best choice when it comes to end of tenancy cleaning, because we have the experience, expertise and knowledge required to satisfy the cleaning needs of any customer. Although our end of tenancy cleaning service is one of the most reliable and efficient in West London, it is also one of the most affordable. The combination of low prices and efficient cleaning solutions has turned us into the favourite choice of hundreds of tenants, landlords and real estate agents. We have satisfied the needs of hundreds of customers, and we’d be glad to have a chance to satisfy yours as well. We guarantee that when we are done with your place, it will look better than ever before, and will easily pass any hygiene inspection! 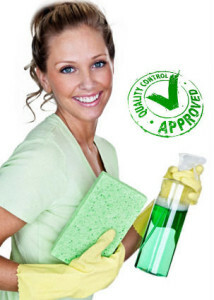 Apart from being efficient and affordable, our end of tenancy cleaning service is also very reliable. We can visit you at a time and date that suit your schedule, and we are one of the quickest companies when it comes to end of tenancy cleaning. In most cases, we’ll be able to finish the entire job in just 4 hours, but we may need more time depending on your needs, the condition of the property and its size. 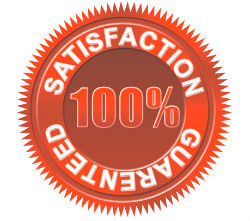 Don’t forget that we also have a 2-day guarantee for all cleaning jobs – this means that you can contact us and file a complaint if you are not happy with the results we achieved. 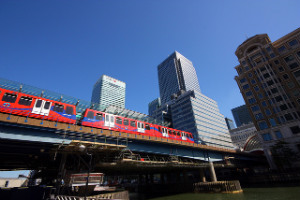 West London has easy transport connections to Central London, which can explain the popularity with travelers of this area. Also London’s biggest airport is placed there – Heathrow Airport. This area may be not so abounded, but there are many must-see attractions like the world wide known Chiswick House. Close to Thames, this classical building is an inspiring example of the 18th century Palladian style architecture. And while you are admiring the statues in the Italianate gardens you can surprised by buildings hidden in the trees. The oldest film studio in the world is located in Ealing, but unfortunately for the cinema fans it is not open to the public. Ealing Town Hall, built in 1888 is still in use for hosting local events – beautiful Victorian gothic building. Take a walk on Windsor Street – it is a street with great historical value. Up for shopping? Take the Central Line to Bond Street if you are looking for high fashion boutiques, if you are not so pretentious St Christopher’s Place is the place for you where you can find clothing, accessories, home furnishings and others. Mayfair is the home of the jewelery capital of London, you will find full range of fine and artistic pieces. An event that you must participate in is the wold’s largest street festival – Notting Hill Carnaval, wich attracts up to 1,5 million people. The most popular and fine places to eat and drink in West London are Maida Vale, Notting Hill and Westbourne Park.